PEOPLE declared bankrupt will no longer be disqualified from membership of the Dail or European Parliament. The law change is expected to be applied in time for the upcoming European Parliament elections on May 23. The government move has implications for a case currently before the High Court in which a woman recently declared bankrupt is challenging the existing law and seeking to stand for the European Parliament next month and later for the Dail. This case already faced delays in hearing before the High Court. President of the High Court Mr Justice Nicholas Kearns said earlier this week that Jillian Godsil's case will be heard on July 24 – but it was not possible to organise a satisfactory hearing before nominations close for the European elections on April 17. The High Court president described the situation as "very unfortunate" and said he would have liked to have an earlier hearing. He said it would take two weeks to hear the issues raised and matters were further complicated by the possibility of a Supreme Court appeal by either of the losing parties. 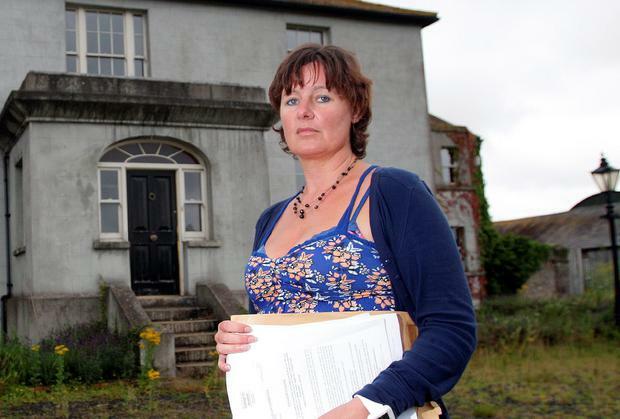 Ms Godsil, whose house was repossessed last year, had hoped to run on a debt relief platform in the Ireland South constituency in the European elections, which includes her base at Coolroe, Tinahely, Co Wicklow. Under current law, she can run as a local election candidate for Wicklow Co Council, while also declaring an interest in later standing for the Dail. However, the new law change will mean she can now run for the Dail if she so chooses. The bankruptcy ban on parliament membership – which currently also means a TD or MEP declared bankrupt would have to quit – has been in place since the foundation of the State and dates to the British administration. A similar ban on people declared bankrupt taking local council seats was ended in 1974. Officials at the Environment Department last night said they hoped to have the Electoral Amendment Bill 2014 through both the Dail and Seanad before the date for close of European Parliament election nominations on April 17. The old measure was threatened on a few occasions but not used in recent times. Mayo Fianna Fail TD Beverley Flynn faced the threat of bankruptcy and Dail disqualification over unpaid legal costs to RTE following an unsuccessful libel action in 2001. But eventually, in June 2007, Ms Flynn settled the RTE damages bill for a reported €1.2m. More recently, in June 2012, Independent Wexford TD Mick Wallace admitted that he faced the threat of bankruptcy and Dail disqualification due to debts. At the time he was named on the Revenue Commissioners tax defaulters' list with a liability of €2.1m. But his debtors did not proceed to bankruptcy proceedings and he reached a repayment agreement with Revenue. A government spokesman said the electoral law change is part of overall changes in bankruptcy law in Ireland. Up to now, 16 of the 28 EU member states do not disqualify bankrupt persons from membership of parliament.